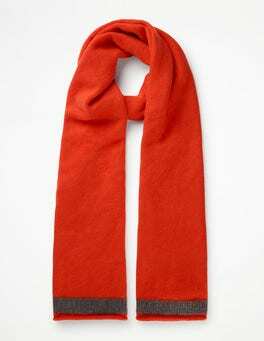 This 100% cashmere scarf feels super soft against your skin and stops chills in their tracks. 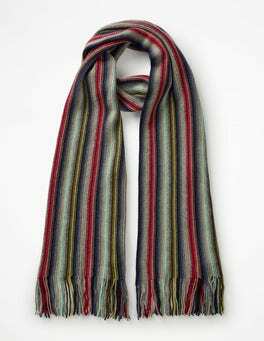 Plus, the stylish colour contrasts give the scarf a totally contemporary feel, while remaining simple enough to work with everything else you own. 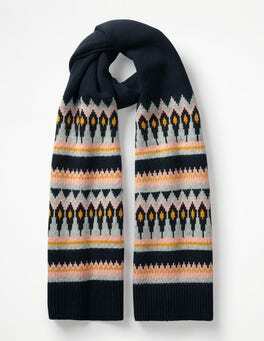 Beat off chills and gloomy weather by wrapping up warm in this cosy scarf in grey-sky-defying colours. It comes in a supersoft knit – perfect for blustery walks in the park. 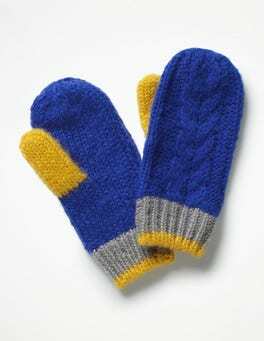 For a toasty trio, pair it with the matching hat and gloves. 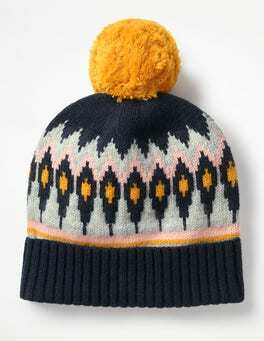 A bright and cheerful hat is just the thing for fending off those chilly mornings. It has supersoft insides, and the ribbed hem helps protect against pesky draughts. Team with our matching scarves and gloves for the complete cold-busting kit. 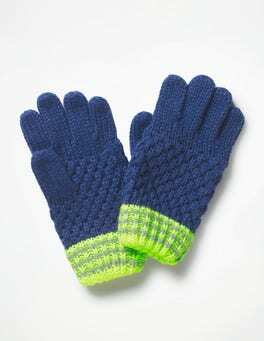 Snowball fights are fun and cold fingers are not, which is why we've made these knitted gloves extra toasty. Ribbed cuffs mean they'll stay put and keep out unwanted draughts. The coordinating hats and scarves complete the cosy picture. 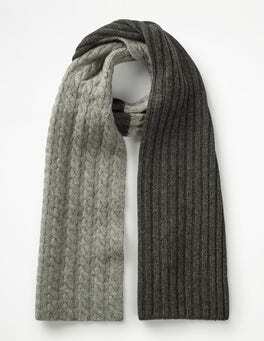 If there’s one accessory you’ll want to have on-hand when the temperatures plummet, it’s this. 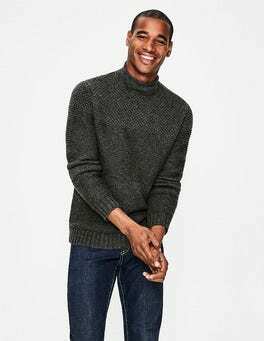 Heavyweight and chunky, it features a cable and rib knit in our softest lambswool blend. With its tonal grey hue, it will be best friends with both light and dark outerwear. You’ll never be chilly again. 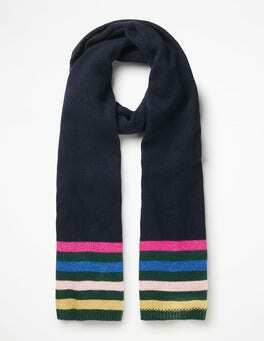 The scarf of the season? 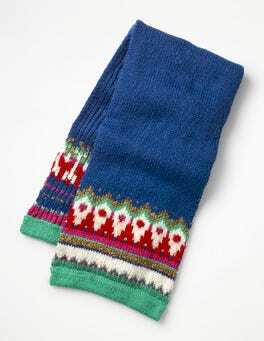 Look no further than this Fair Isle knit. 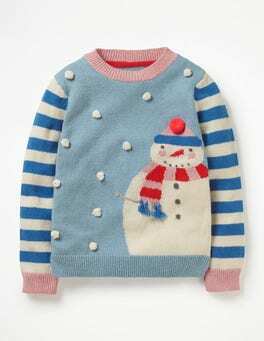 In the softest of yarns, added sparkle makes it just the thing for evenings spent ooh-ing and aah-ing at snowflakes. 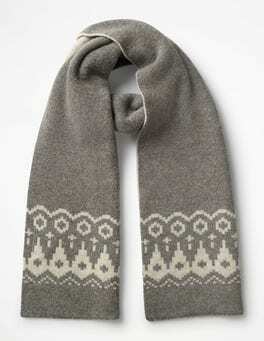 A pompom trim is the icing on the cake (or should that be pompom on the scarf?). 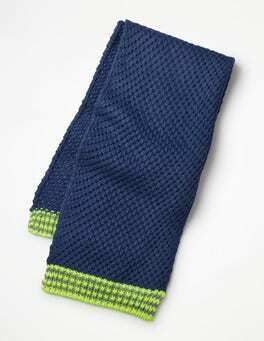 These eye-catching scarves were made to take the chill off while you wait for the sun to shine. In soft cotton and modal and with a variety of outfit-making prints, they’re endlessly versatile. 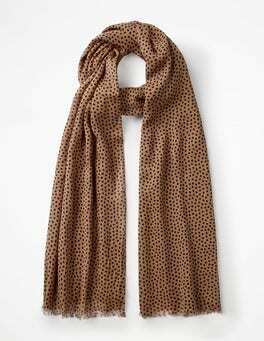 Wear as a scarf now and pack in your suitcase as a back-up sarong when you're hitting the beach. When it comes to accessories go for bold. 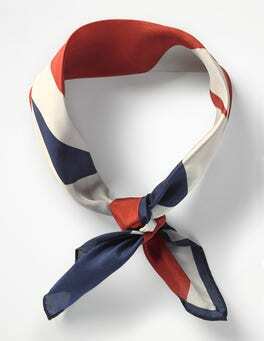 This striking scarf, in luxurious pure silk, is British designed and made. Tie it around your neck or to your bag and it can't fail to enliven your day. 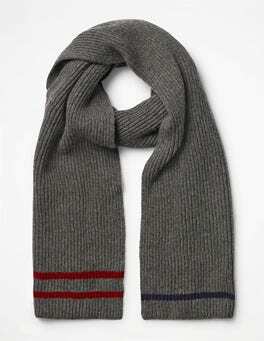 Step aside, woolly scarf. This lightweight piece with pompom detail is perfect for draping around your shoulders on chilly evenings, and won't look out of place when the dress code is more St Tropez than Scarborough. 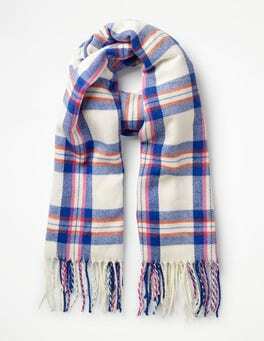 It really is a scarf for all seasons.